A California Highway Patrol officer was killed when a patrol car in which he was riding was struck on an on-ramp to Interstate 880 in Hayward, authorities said Monday. Officer Andrew Camilleri Sr. was killed in the crash at 11:20 p.m. Sunday, according to a statement by Gov. Jerry Brown. Camilleri and another CHP officer were parked on the Winton Avenue on-ramp to I-880 in the southbound direction when their cruiser was hit by a car. 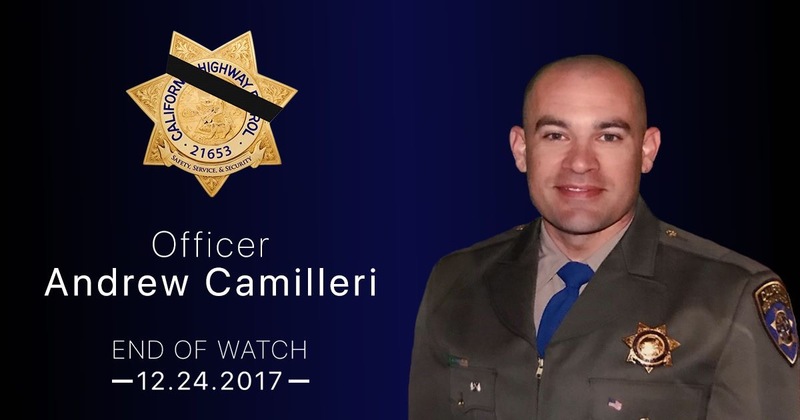 Officer Camilleri is survived by his wife, daughter and two sons along with his parents, brother and sister. The car’s driver was suspected of being “impaired.” The suspect was taken to a hospital where their condition has not yet been released.